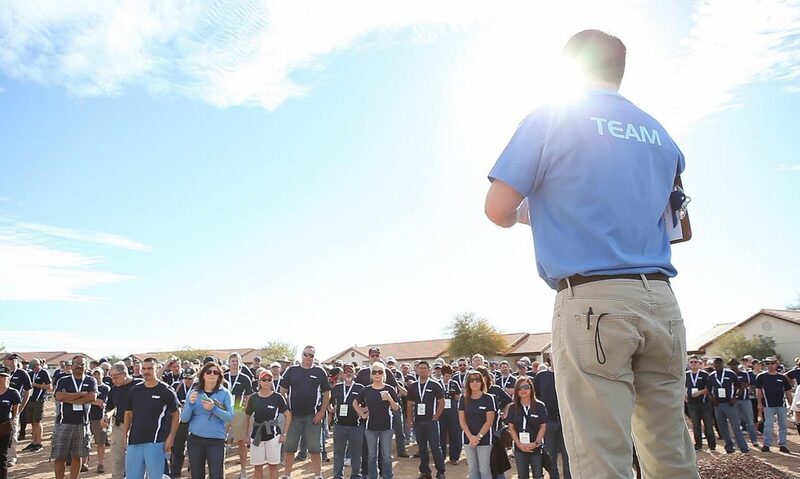 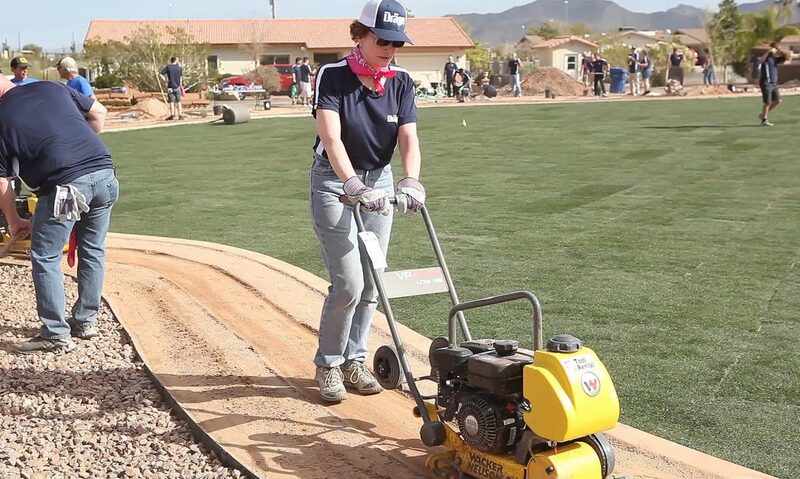 500 Dräger volunteers showed up at Sunshine Acres – a home for children that have been separated from their parents. 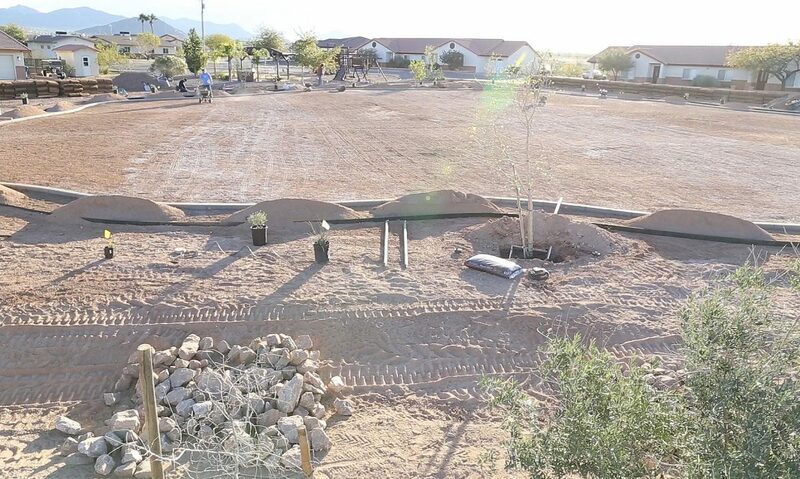 Those volunteers proceeded to do the seemingly impossible; transform an empty dirt lot into a 20,000 sq ft park for the kids – something the staff at Sunshine Acres had desperately wanted and needed for more than 5 years. 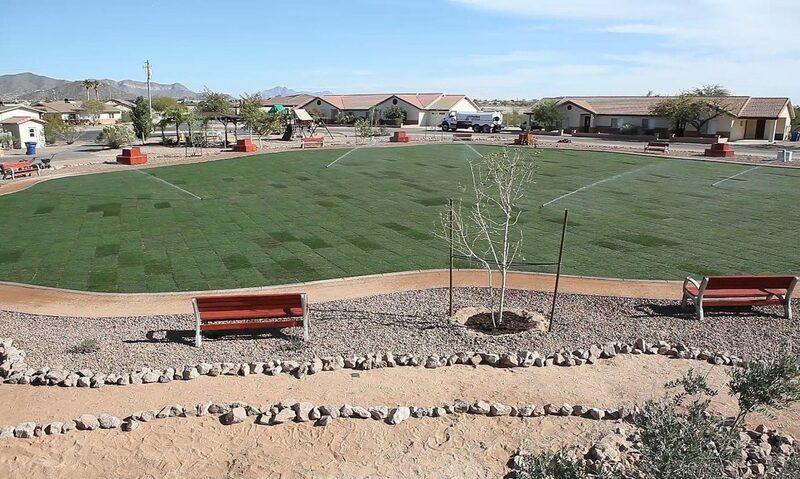 In less than 5 hours, the volunteers installed irrigation/water lines, laid down 4000 sq ft of grass/sod, planted 300 trees and bushes, hand-built and hand-painted park benches and planter boxes, and constructed a walking path around perimeter of the park. 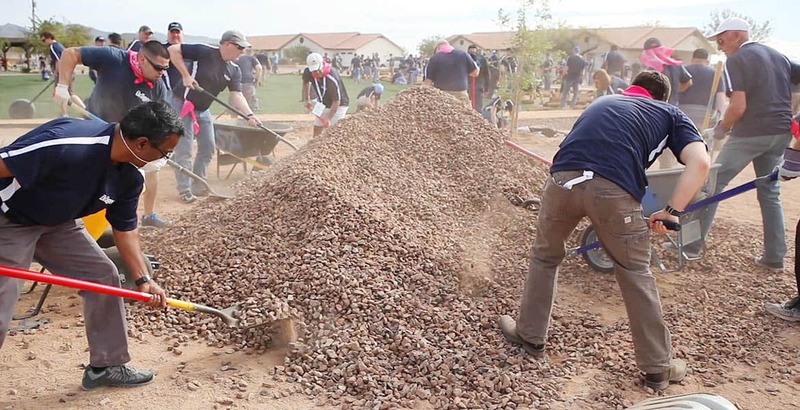 As if that wasn’t enough, the team also had enough time to re-surface an existing skateboard park and basketball court, beautify a concrete center road divide with soil, various plants and flowers, and assembled dozens of “build-a-bear” teddy bears for children living at the home. 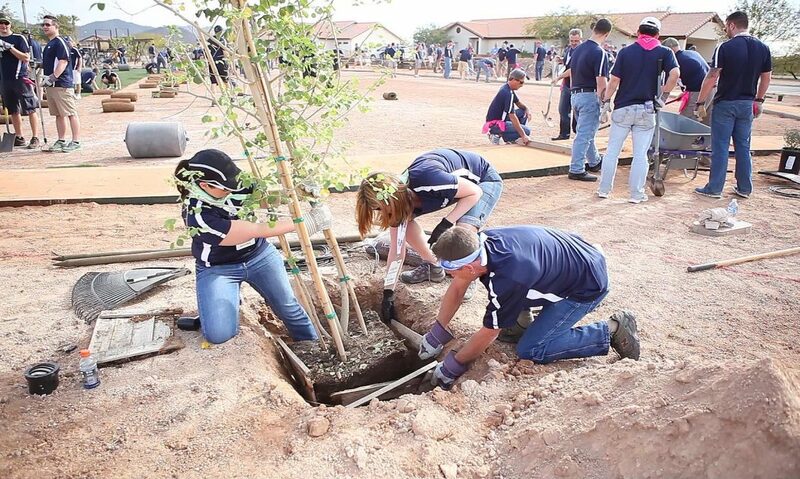 More often than not, our clients report that attendees find corporate social responsibility activities the most meaningful and memorable element of a program or conference. 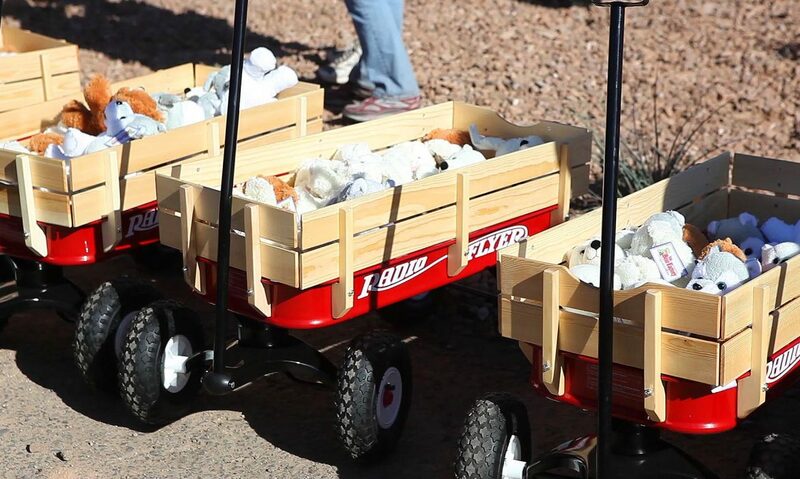 Contact us today to design a CSR event that can not only make a difference for those in need, but that can have lasting, significant impact on your organization.